Trainees in subspecialty of geriatric psychiatry and general psychiatry need to master core competencies in geriatric psychiatry in order to practice. 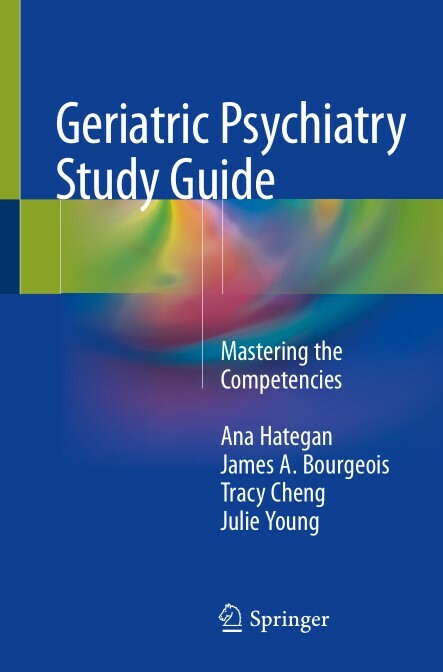 This book is designed to provide short-answer question-based learning centering around the core curriculum topics in geriatric psychiatry and is primarily ideal not only for medical students, residents, and fellows, but also for psychiatrists preparing for re-certification. This book features approximately 300 short-answer questions on geriatric psychiatry topics, each comprising the stem of a brief clinical scenario or concise question with expected number of answers. The book also features detailed teaching notes, graphics, and the respective source references. The format is consistently structured from chapter to chapter, practical and concise, and designed to enhance the reader’s diagnostic and management ability and clinical understanding. Each answer includes a concise discussion, pertinent illustrations, and source references. This text is a valuable reference and teaching tool that provides an opportunity for learning across a rapidly growing field. 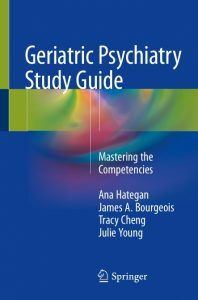 The material covered matches the existing postgraduate curricula in geriatric psychiatry and helps prepare candidates for their specialty and subspecialty certification examinations. The cases map well to both the American Geriatric Psychiatry Association and Canadian Academy of Geriatric Psychiatry as well as other international postgraduate curricula. The book covers main topics within geriatric psychiatry, some such as substance use disorders and sexuality and sexual dysfunction in later life. As the Baby Boomers age, this reference will continue to be a valuable staple in geriatric workforce training. Geriatric Psychiatry Study Guide is the ultimate resource for students, residents, fellows, psychiatrists, psychologists, family practitioners, nurses, social workers, and all clinicians rising to the challenges of the mental health segment of the geriatric workforce.